The Gershon Iskowitz Foundation is a private, charitable foundation dedicated to the advancement of the visual arts in Canada. The Gershon Iskowitz Foundation was established in 1985 and was granted its charitable status one year later. Its terms were established by Walter Moos and Jeanette Hlinka, who became the first trustees together with Gershon Iskowitz. Nancy Hushion was appointed Executive Director in 1989 and has managed the foundation since that time.  Since its inception, the foundation has focused on supporting the Gershon Iskowitz Prize. It also has the responsibility to preserve, promote and exhibit Gershon Iskowitz’s work. In celebration of the foundation’s 10th Anniversary in 1996, 148 paintings and works on paper from the estate were gifted to over thirty public art galleries across Canada.